Lauren Moses made Jumper. Assisted by Dominique Toussaint. Aliyah Huland El made Jumper. Dominique Toussaint made Three Point Jumper. Dominique Toussaint missed Three Point Jumper. Lauren Moses made Jumper. Assisted by J'Kyra Brown. Aliyah Huland El missed Layup. Brianna Tinsley missed Three Point Jumper. J'Kyra Brown made Three Point Jumper. 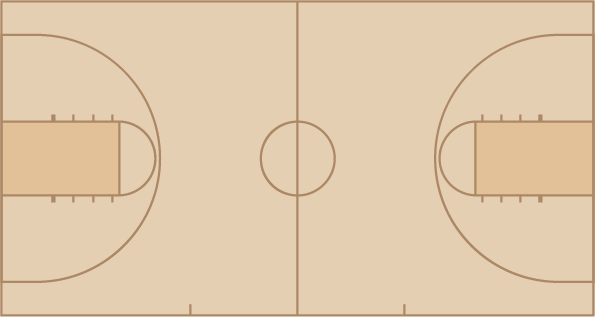 Dominique Toussaint made Three Point Jumper. Assisted by Felicia Aiyeotan. Felicia Aiyeotan made Layup. Assisted by Lauren Moses. J'Kyra Brown missed Three Point Jumper. J'Kyra Brown made Three Point Jumper. Assisted by Aliyah Huland El. Aliyah Huland El missed Three Point Jumper. Lisa Jablonowski made Layup. Assisted by Dominique Toussaint. J'Kyra Brown made Three Point Jumper. Assisted by Lauren Moses. J'Kyra Brown made Three Point Jumper. Assisted by Dominique Toussaint. Dominique Toussaint made Layup. Assisted by Brianna Tinsley. Jocelyn Willoughby made Jumper. Assisted by Dominique Toussaint. Tyasha Harris made Three Point Jumper. Assisted by Alexis Jennings. A'ja Wilson made Layup. Assisted by Alexis Jennings. Alexis Jennings made Layup. Assisted by Tyasha Harris. Bianca Jackson missed Three Point Jumper. A'ja Wilson made Layup. Assisted by Doniyah Cliney. Bianca Jackson made Jumper. Assisted by Tyasha Harris. Tyasha Harris missed Three Point Jumper. Mikiah Herbert Harrigan made Jumper. Alexis Jennings made Layup. Assisted by Doniyah Cliney. Bianca Jackson made Three Point Jumper. Assisted by Tyasha Harris. A'ja Wilson made Layup. Assisted by Tyasha Harris. Bianca Jackson made Three Point Jumper. Assisted by Doniyah Cliney. Alexis Jennings made Layup. Assisted by A'ja Wilson. Doniyah Cliney made Three Point Jumper. Assisted by Tyasha Harris. Bianca Jackson made Layup. Assisted by Tyasha Harris.